Virtually Indestructible Combat Boots and Nalgene Water Bottles! People who work in the military or at a job that is like the military will always need to have gear that can stand up to the rugged lifestyle which they lead. This is one great reason that the experts at AFMO Worldwide Military Tactical Gear and Equipment Supplier offer you great deals on a daily basis to help improve your life. Before you go shopping at any other place on the internet or near your home you need to be sure that you check out the inventory and shipping costs that are offered here as you will definitely not be disappointed. People needing a wide range of items and want to shop for only one style or brand will love the Maxpedition items. Not only are you going to be able to completely outfit yourself with the important items for any expedition or outing, you are going to be stylish and safe while doing it. If you are going on a trek that requires you to have water in a bottle that is rugged and will keep the liquid inside safe, the nalgene bottle that is offered will do just the trick. This nalgene bottle is a neon green color and priced at the low amount of only 11.99 These types of bottles are strong and durable enough to withstand being dropped, crushed, thrown, or left outside for years at a time. They are also sealed perfectly to keep things in, or outside materials from getting in. This is the perfect item for a gym goer who wants to show the world they have military pride. Army ACU boots are usually quite expensive because they are tough enough to be worn for weeks at a time without being removed, but also able to put up with dirt, water, and even certain dangerous chemicals. With multiple sizes and items for men and women the Danner Acadia boot brand offers a waterproof selection of combat boots. Gore-Tex lining, extra durable soles, and nearly indestructible uppers, a person is going to be set for the long haul when buying these. There is also enough toe room in these boots to keep circulation going, but not to give the feeling of being cramped while being worn. These are perfect for activities in the rain or snow. This entry was posted in Bags and Accessories, Shoes on January 22, 2013 by Mommy Yam. I’m sure my daughter would love to receive a guitar as a birthday present. We were in fact looking for some affordable brand as early as December, but the fund intended for the guitar was used for another purpose. We visited some stores and we were amazed to find out so many different guitars being sold in the market right now. There are imported ones like the M-Audio family of products. We may consider buying the locally made brand (as our way of supporting our local guitar makers). The local brands are of equal quality but are way cheaper than imported guitars. This entry was posted in Musical instrument on January 19, 2013 by Mommy Yam. All those who are suffering from allergies may find comfort knowing that there are various proven methods of addressing this problem. Let’s have a close look at few effective ways to treat allergies that can help you in understanding the problem and choosing the best treatment in your case. Although there is no set cure for allergies, but still many effective remedies for allergies are available from AEdrops.com that can assist you in getting rid of various annoying symptoms of this medical condition such as congestion and runny nose. One of the most widely used medications are antihistamines, decongestants, corticosteroids, and combination medicines that are capable of dealing with the allergens. Various herbal supplements can provide relief for various allergies such as saline nasal sprays, freeze dried nettles, and so on. Aside from various herbs, doctors also advise some nutrients that can help in suppressing seasonal symptoms. Some of them are flavonoid compounds, and grade see extract. 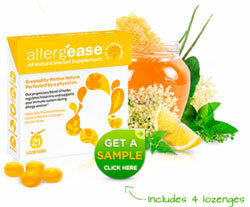 To know more on how to prevent allergies in any easy way see more here. You can get antihistamines in the form of capsules, liquid forms, and chewable tablets. The amount of medication will depend upon the kind of preparation and person’s characteristics. As antihistamine causes drowsiness, so you should not drive or do any activity that needs mental attention. This drug lessens the nasal congestion leading to reduced blood flow to the nasal passage. This medication is not given to all those who experience allergic reaction to decongestants. When this spray is used into each nostril, it lessens the secretions from the glands that are lining the nasal passage. They help in lessening the inflammation in the nasal passage and reduce the symptoms of nasal allergies to a great extent. Sometimes these sprays may lead to sore throat or nose bleed. These drops are sued for relieving the symptoms such as watery and itchy eyes. Few drops are creating with certain anti-inflammatory agents that can reduce irritation and puffiness. Many non-prescription eye drops also offer good relief from hay fever and allergies. This product should be sued with care as it can cause temporary stinging sometimes. These food are rich in omega 3 that is well known for fighting inflammation and is found in cold water fish, eggs, flaxseeds and grass fed eat. All those who are suffering from allergies should consume few of these foods for reducing allergy symptoms. This entry was posted in Medicine on January 17, 2013 by Mommy Yam.